Located in Melbourne, Australia and designed by Kennedy Nolan the Maitland House is a gorgeous piece of architecture and interior design. 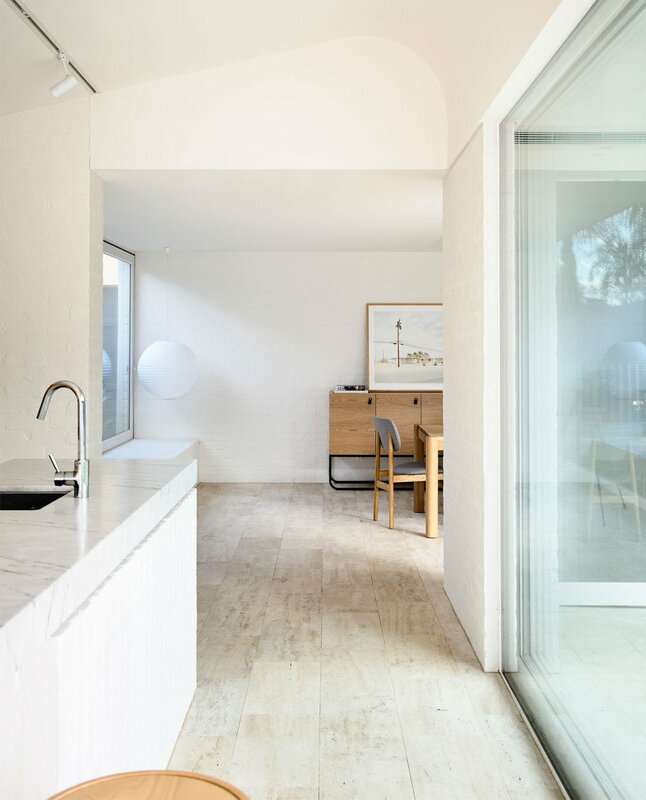 Kennedy Nolan took the project in two stages, first with the internal refurbishment and then the addition of a kitchen, dining, living and swimming pool. The additions clearly help make the home what it is today with it's stunning silhouette. The shell of the home cleverly uses vertical and horizontal lines all connecting and intercepting to a chimney. The client clearly has a passion for modernism and minimalism which is lucky for us. The home is a single story piece with a clear line of sight between the outdoors and indoors. The photography is by Derek Swalwell.